Toronto – Simulation fans will be pleased to know that leading video game publisher Lighthouse Interactive  and developer Discus Games  proudly announced that Steel Fury: Kharkov 1942  (PC) has become available at direct download sites as of today. 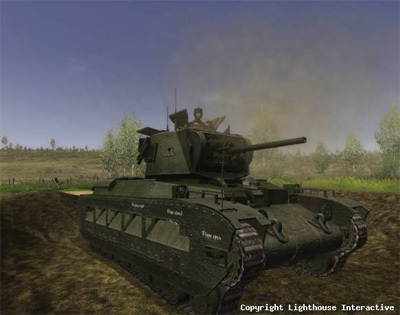 Their exhilarating WWII tank simulation game is also available in the Online Lighthouse Interactive North-American Shop. Do not wait any longer and plunge yourself into the monstrous roars of tanks and blaring  sounds of war in the realistic tank simulation world of Steel Fury: Kharkov 1942, recreated from archives and photo references of the real-life events that took place during the World War II from May 12 to 28 in 1942. Steel Fury: Kharkov 1942 is based on real-life events that took place from May 12 to 28, 1942, which engaged the Red Army in the fight of their lives. During a vicious German counterattack that began on May 17, 1942, three Soviet Armies were surrounded and were forced to fight in what has become known as the “meat grinder.” Through the monstrous roar of tanks and military vehicles, and the blaring sounds of war, players will experience bitterness at the loss of their comrades during battle and elation when they are victorious. Historical Authenticity: Missions are based on true historical events recreated from archives and photo references, including the interiors and exteriors of vehicles and tactical markings. The player has access to vast battlefields without obstructions from impenetrable forests or other obstacles, allowing them to choose any path available to achieve victory! Fear and Fury Filled Missions: Throughout 30 playable missions in three unique single-player  campaigns, experience large scale battles with numerous active vehicles. Vehicles: Interact with and command all units involved in the advance against the enemy, including: more than 40 different realistically modelled vehicles, with three playable tanks: T-34/76 mod. 1941, Mk.II ‘Matilda’ III, and the Pz. IV Ausf. F2. Take Full Control: In first and third person views, assume crew positions for Commander, Gunner, Loader, Driver, and Hull Gunner. Realistic Game Physics: The advanced game engine allows for precise calculation of ballistics and collisions models. Objects can be destroyed and the terrain is deformable. Both player and AI controlled vehicles are subject to realistic physics. 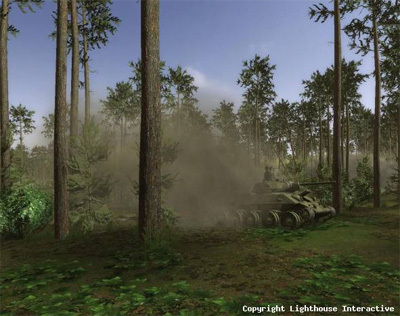 Realistic Environments: The game engine supports dynamic lighting, featuring night-time missions and different weather conditions. The engine’s particle system allows for realistic smoke and water effects, as well as debris from explosions. Damage Model: Everything in the path of a tank-round can be destroyed. Vehicles can damage buildings and knock down trees. 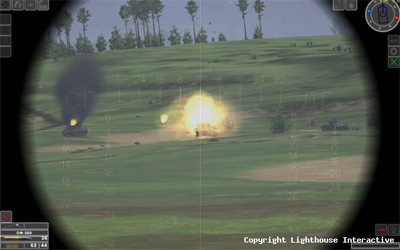 Due to the advanced game engine, impacting shells create craters and trenches take damage when tanks run over them, deforming the terrain. Difficulty Levels: Players can adjust the level of complexity the game offers. Missions gradually raise the difficulty level by introducing more vehicles, troops, and harder to achieve mission goals. Thanks to training missions, the player can easily learn how to control their tank and supporting AI troops from all crew positions. Editors and Utilities: Players have the ability to create custom missions and make modifications. Easy-to-use editors make it possible to add new vehicles and weapons to the game.